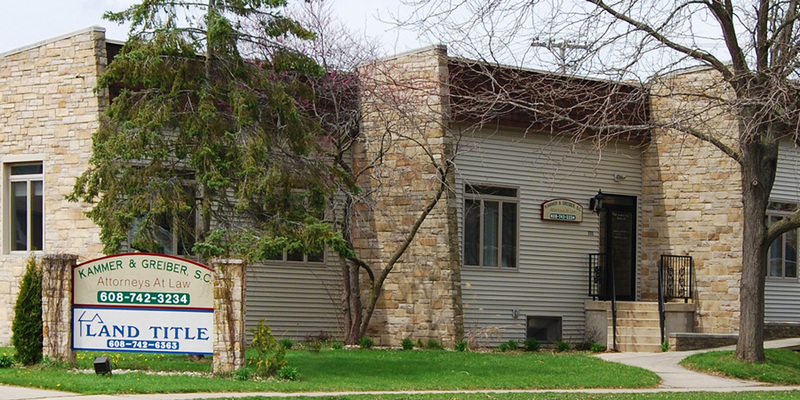 Kammer Law Office, S.C., Attorneys at Law, opened their doors for business in 1971 in Portage, Wisconsin. For more than 40 years, our firm has been dedicated to providing high-quality and comprehensive legal representation. We have a diverse practice with an emphasis on real estate law, family law and litigation. We take a serious and comprehensive approach to the practice of law. When you come in for your free consultation, we will evaluate your case with you and present a strong legal game plan for moving forward. Our law firm is dedicated to reviewing your legal position thoroughly and using a wide variety of internal and external resources in order to best prepare your case. You can expect our dedication from our very first meeting. When you have a legal issue, it's natural to worry about your rights, the amount of time a legal dispute might take and the cost involved. The lawyers at Kammer Law Office, S.C. can address all those concerns for you. After assessing your legal position, we can tell you where your case stands and what your options are and give you an estimated timeline.